Yeah, the name of the wallpaper is made of fail, I know. I just spent all of last night and most of this morning and afternoon working on this, so my brain isn't up to par. I'll change the name when I can think of a better one. So I started this last night after falling in love with this series. I went screen capturing crazy and this was one of the screenshots. The original had an assortment of flowers in the background. I did attempt to vector them, but I'm not that great at vectoring yet so the blurriness of it made my eyes hurt. Needless to say, the result was disastrous. So I deleted the ugly flowers, searched online for some real-life flowers and painted them. Yeah, I chose tulips obviously. I wish I didn't because for something I thought that would be simple turned out to be more of a headache... 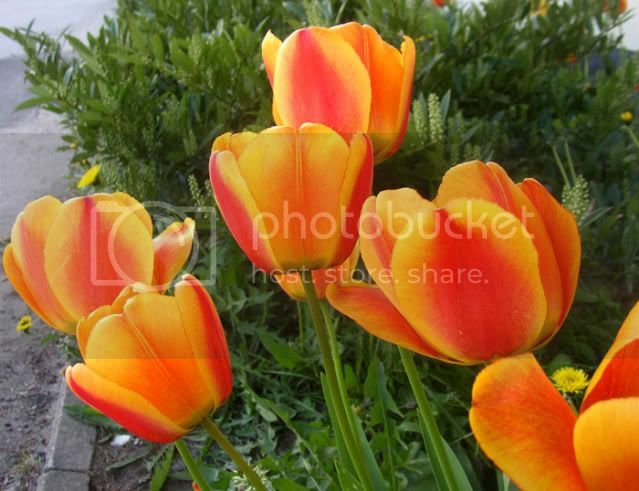 Here is the original photo of the tulips. 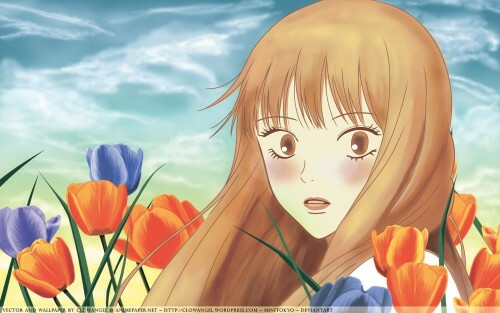 Sorry if I did a bit of a hack job painting the flowers and Sawako. Hahaha... It happens to be my first attempt at painting something that's not a scenery. The hair was a lot of fun! The clouds were a spontaneous kinda thing. At first, I just went "Blaaahh" and went across the page randomly with the 100px round brush before I decided to actually put some effort into it. Thank goodness I did because the initial 'clouds' looked more like a smoke screen or fog. Tell me what you guys think because all I can see are imperfections. The main thing you missed is colouring the white of her eye. And if you look at your screenshot, the bottom of her top lip is actually white (her teeth). Other than that and a few small colour leaks, I think you made a very nice wall. The way you made the BG looks awesome!I love the colors! 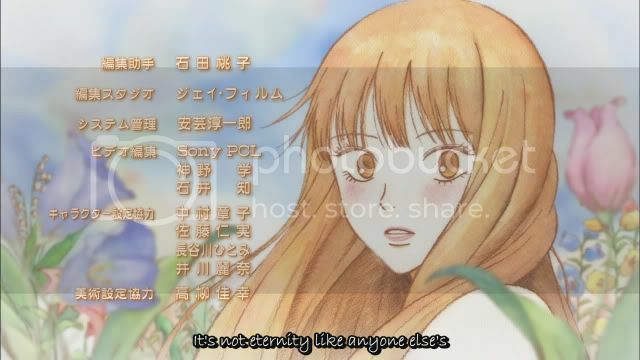 But...there is still some little details which you must pay attention.There are some color leaks on the hair,and the outlines would have been much neater if you had done them with shape layers.Also the whites of the eyes are missing I guess ^_^"
aahhh i completely loved this scene from the ending...its a beuatiful wallpaper!